Japanese trio Wednesday Campanella (named Suiyoubi no Campanella back home) have been behind some of the most dreamy electronic pop we’ve heard in ages. Their joyful blend of hip-hop, house, and garage is worlds apart from the stereotypical image of stylised stage costumes and strict choreography that western audiences often associate with the term ‘J-pop’. While Wednesday Campanella is made up of three members, track producer Kenmochi and manager Dir.F tend to stay in the shadows, leaving frontwoman KOM_I to take centre stage. She’s a uniquely charismatic presence as a performer and a genuine star-in-the-making, transcending language barriers with lush vocals and humorous (and often nonsensical) raps. 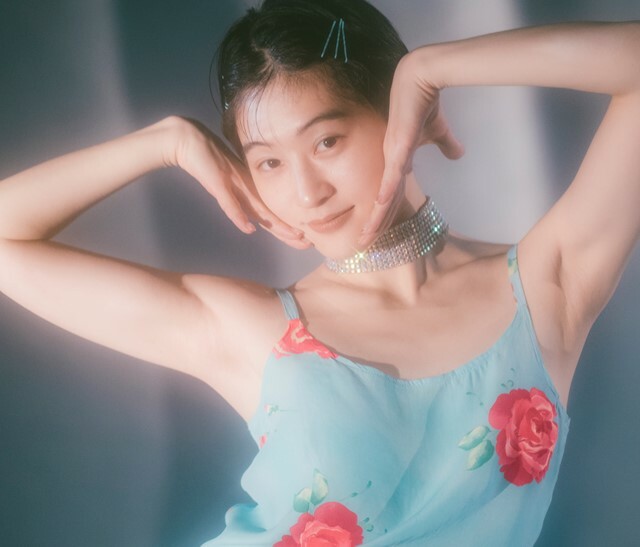 Following the release of Wednesday Campanella’s stunning album Superman last year and an international tour that saw them bring their awe-inspiring live show to Tyler, the Creator’s Camp Flog Gnaw festival, KOM_I is set to appear in her first film, Neko Wa Daku Mono, in 2018. With a new EP, Galapagos, and a series of European festival dates with Wednesday Campanella on the way too, it feels like this year KOM_I could become Japan’s most significant western crossovers in a long time – only fair for one of its most exciting new bands.